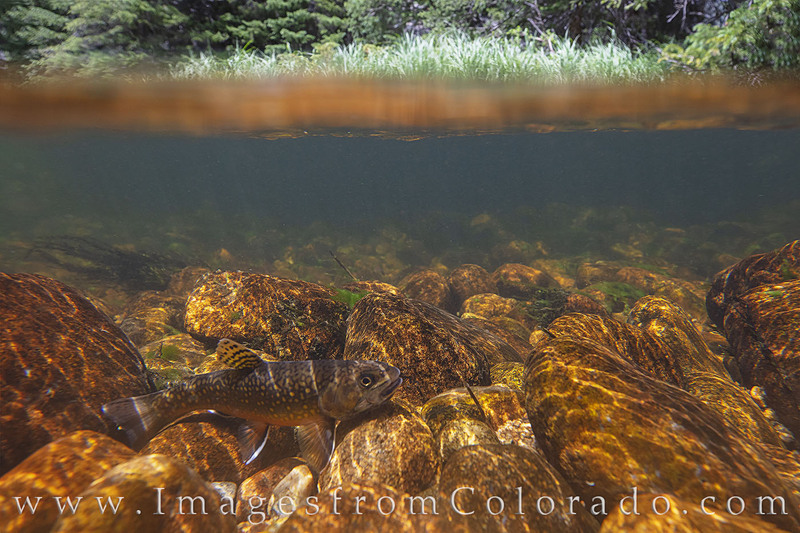 High up in the North Inlets in Rocky Mountains National Park, a brook trout enjoys the sunshine and the cold, clear water that flows down into Grand Lake. This small stream flows south on the west side of Rocky Mountain National Park. An underwater housing case was used with the camera to take this and other underwater images. Photo © copyright by Rob Greebon.